Dinosaur Island | Learn about dinosaurs in their natural habitat! 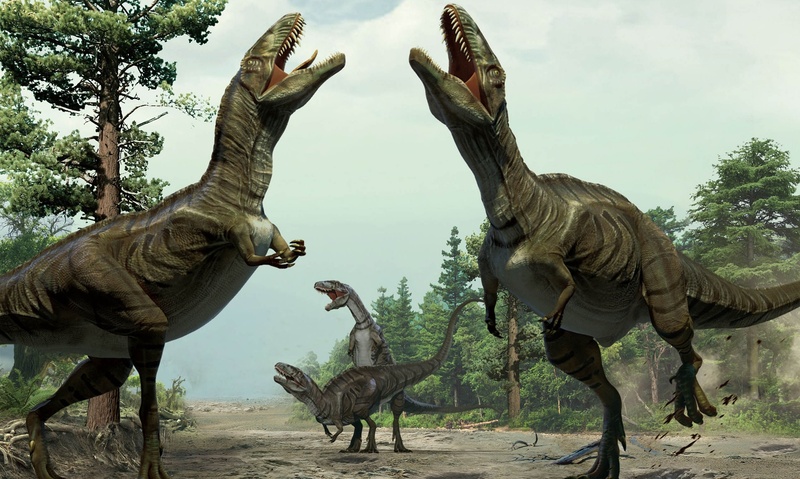 A sixty-six million year old T-Rex bone (click here) shows conclusive evidence that the T. Rex was cannibalistic. Dinosaur Island has supported cannibalistic T-Rexes since April (see screen shot below). A new paper, “A Ceratopsian Dinosaur from the Lower Cretaceous of Western North America, and the Biogeography of Neoceratopsia,” link here reports the discovery of a new dinosaur with a ‘super bizarre beak’. Pictures are at this link here.